That's the best I can say about my sailboat too - rock solid. I was looking at Jakatar from the transient dock and sadly noticed that it's dirty below and above the waterline, has a ridiculous mast rash, looks naked...abandoned. Besides, I fell in love with a cute Frances 26 that is not only rock solid but also beautiful, cheap, and easy to please. I think I'm going to have a mid-life crisis! Naked, dirty and peeling...and check out the "no parking" sign. Even the fenders are beginning to look like trash. Then there's the Frances 26. I can see it's small. I realize it's cramped inside. I know it's not as fast. Yes, the water tank won't last 2 or 3 weeks, or the diesel for a year, like Jakatar. But look at it; it sets my boat hormones on fire. The FRANCES 26 is a classic cruiser with a traditional profile built in hand layed-up fiberglass using the best materials and craftsmanship. She is the ultimate combination of comfort and sailing ability in a pocket cruiser for coastal or offshore sailing. 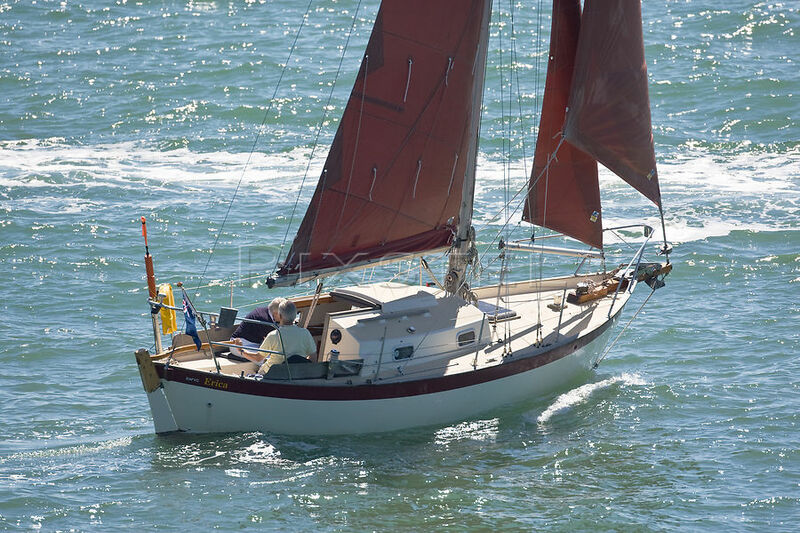 The original FRANCES was designed and built by Naval Architect Chuck Paine for his own use. 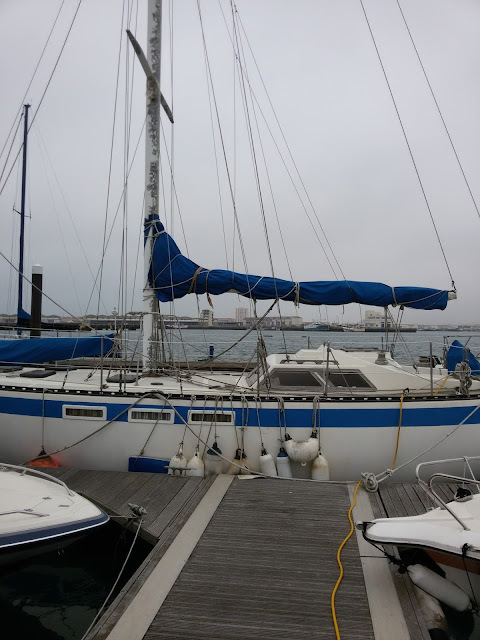 He decided to reduce the size of the well known Colin Archer double ender and, as such, also reduce the problems (crew requirements, maintenance costs, original cost, restrictions to cruising waters due to deep draft) inherent to larger blue water cruisers. But the features that have gained acceptance, as necessary for safety and comfort at sea - heavy displacement, a double ended design, and sufficient ballast - were retained. The FRANCES is an alternative for sailors seeking quality and economy in a modern yacht. Small is beautiful. Small and beautiful is even more beautiful. Small, beautiful, practical and affordable is incredibly beautiful. It looks like this one really got under your skin. 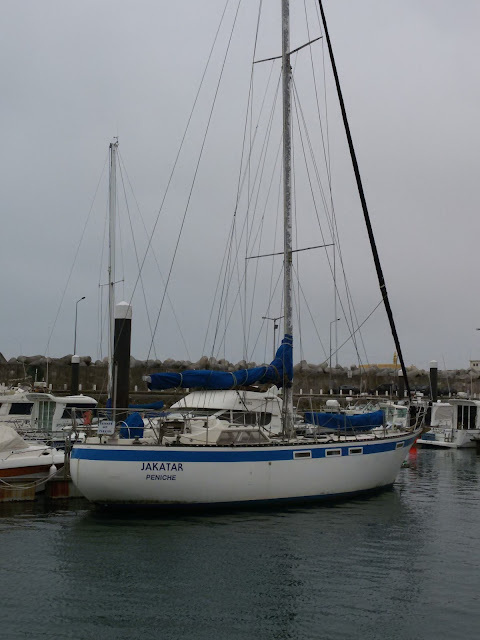 I guess it's the same boat you talked about last time I was in Peniche. Will be a difference to step into your boat instead of climbing onto it. Good to hear from you. Probably was the same boat I told you about last time you were here because you visited very recently. 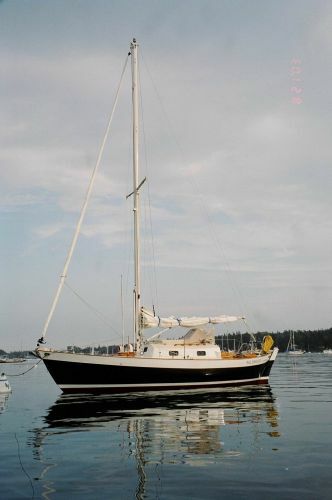 But hey, I'm getting to that age when any pretty sailboat with a nice set of sails will get me excited!!! I looked at your lake on Google Earth. Didn't realize Holland - a small country - had such a huge lake, that's a small ocean. I can see why your eyes fancy the Frances 26. Who's wouldn't. My question is.....what are you getting at?? Is there something we should know? Hmmm? I wish there was something you should know about. But no, too messy to divorce Jakatar at this stage. I'm just daydreaming. I do have one secret though, but it may take a year to announce it. Some things can't be known by some people who read this blog...but I like to throw out a crumb to get curiosity roused up.